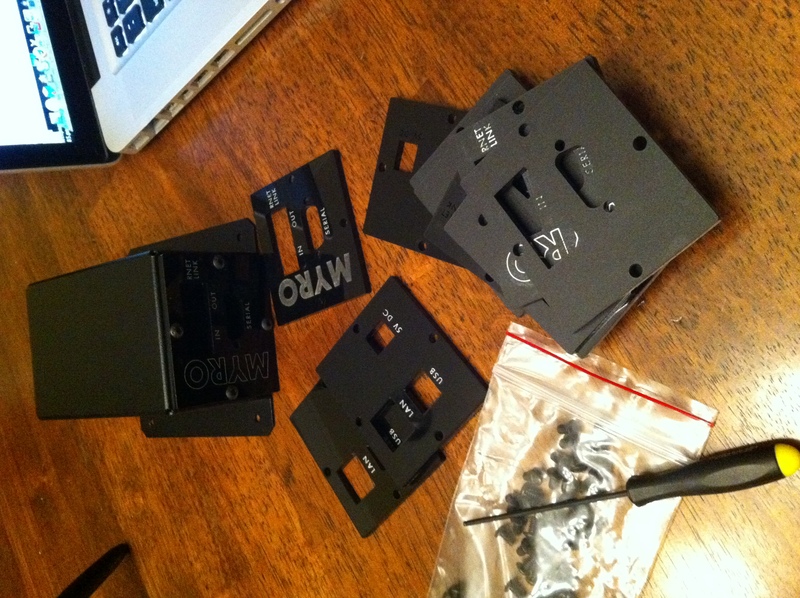 Home » Blog » Faceplates for Case. Check. While we’re waiting for the boards to arrive from manufacturing, we are focusing on the cases. 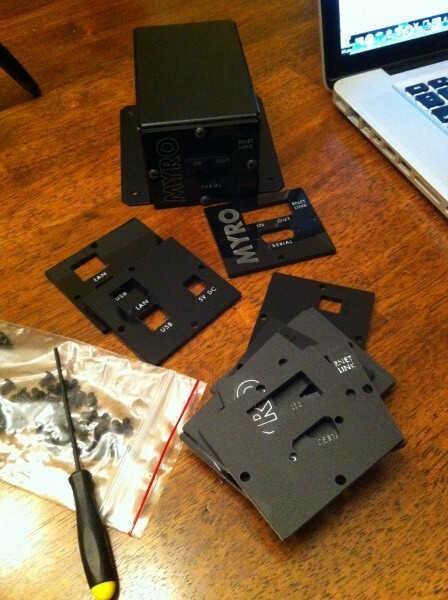 The faceplates were created using a laser cutter. It did take quite a few tries to get it perfect. The end result? Some very nice looking faceplates and cases. It’s a shame they will never be seen as they are designed to be tucked away in the rack.